Kitchen islands are freestanding pieces of cabinetry that are placed in kitchens to add more counter and storage space. They help increase the room’s functionality by spreading the workflow throughout the kitchen. 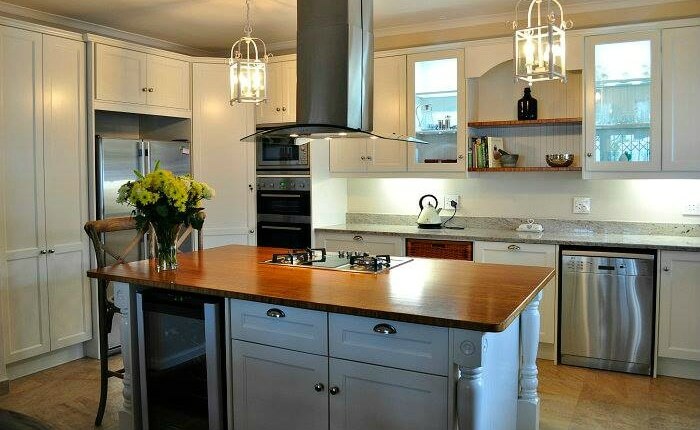 Kitchen islands don’t just add more work surface, they can become multipurpose cooking and dining areas. For example, a hob could be incorporated into a granite counter and a solid wood counter adjoining could provide the dining space. 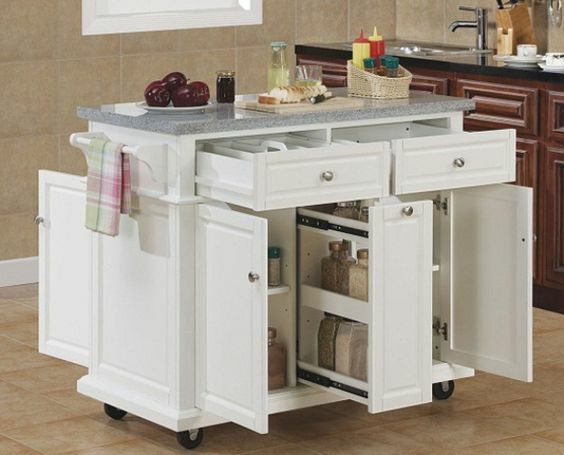 Kitchen islands are also extremely useful for creating more storage space. 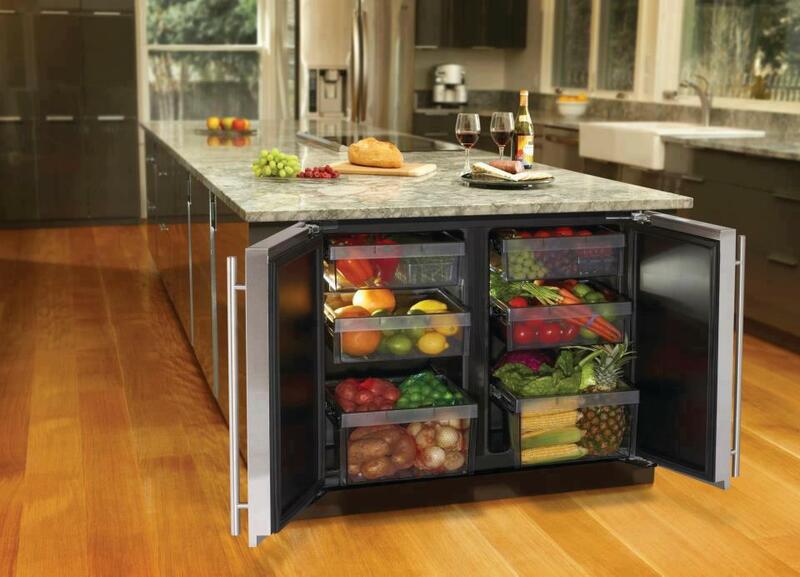 They can incorporate appliances such as under-counter fridges, microwaves or warming drawers. Deep drawers can store dishes and pots while shallow drawers can accommodate all the clutter that households seem to accumulate! They can also provide more cupboard space or shelves to house built in plate racks, cookbooks or to showcase items that add interest to your kitchen. The space above a kitchen island can also be taken advantage of by adding suspended storage for pots and pans or wine glasses. You can also use it to experiment with lighting or to install an eye-catching extractor above the cooker installed in the counter. Making a design feature of a repurposed piece of furniture such as an old table or dresser or a butcher’s block bench can bring unique character to your kitchen. Or use the island as a bold pop of color to create interest and contrast. 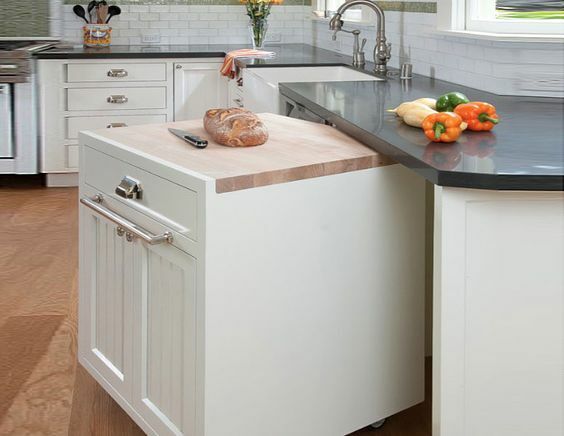 If your kitchen lacks the space for a permanent kitchen island, your kitchen design can incorporate an island on castors that can be rolled to another area or tucked away under a kitchen counter. 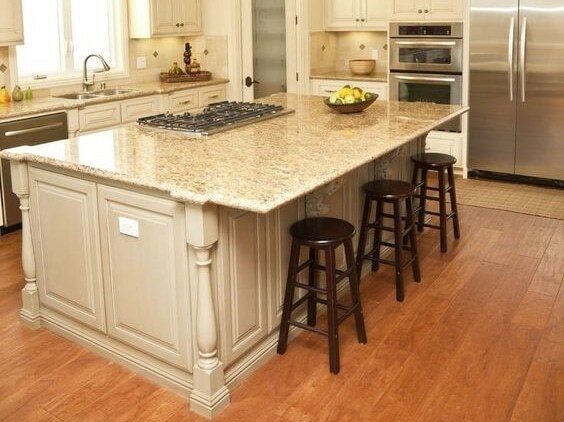 Popular counter choices are engineered stone or granite, solid wood, bamboo, concrete or stainless steel. Mixing textures and materials makes for an eye catching design feature. Kitchen islands are becoming a regular feature of modern and contemporary kitchens, so why not incorporate one into your new kitchen design? Rock on Wood is one of Cape Town’s longest established kitchen design companies. Read more about our kitchen design service, or call us today and our experienced interior designers will create a plan that makes the most of your kitchen. All building and plumbing work included. And remember – you get our unique Lifetime Guarantee on all work done.